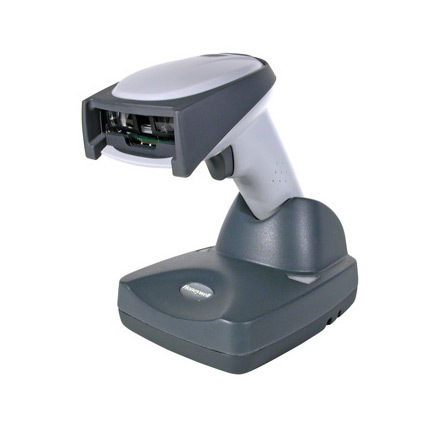 The Honeywell 3820 barcode scanner offers freedom of movement and aggressive scanning, fantastic for any medium to high volume scanning environment, including retail inventory management, warehouse industrial scanning, or any situation where you need the added mobility of a cordless scanner. Using Adaptus imaging technology, the 3820 can read retail barcodes from 2 feet away, excellent for scanning products on high shelves or otherwise out of reach. 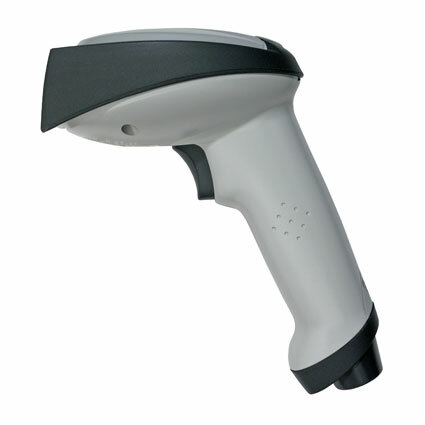 The Adaptus imager also reads damaged or dirty barcodes easily, streamlining scanning and eliminating data entry errors. For added efficiency, the 3820 reads barcodes at up to 270 scans per second, keeping up with the most demanding scanning environments. The Bluetooth radio in the 3820 provides encrypted data transmission with an effective radio range of 33 feet. Not only does the 3820 pair with the included base station, but the Bluetooth radio provides easy pairing to a laptop or mobile computer, allowing you to extend your mobility or offer advanced scanning in line busting or mobile POS applications. Using Adaptus imaging technology, the 3820 can read retail barcodes from 2 feet away, excellent for scanning products on high shelves or otherwise out of reach. 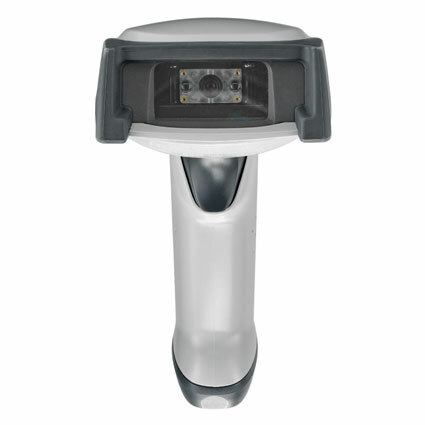 The Adaptus imager also reads damaged or dirty barcodes easily, streamlining scanning and eliminating data entry errors. For added efficiency, the 3820 reads barcodes at up to 270 scans per second, keeping up with the most demanding scanning environments. <br><br> The Bluetooth radio in the 3820 provides encrypted data transmission with an effective radio range of 33 feet. Not only does the 3820 pair with the included base station, but the Bluetooth radio provides easy pairing to a laptop or mobile computer, allowing you to extend your mobility or offer advanced scanning in line busting or mobile POS applications. 7.5 Mil 4" to 14"
10 Mil 2" to 18"
13 Mil 1" to 24"
20 Mil 1" to 36"